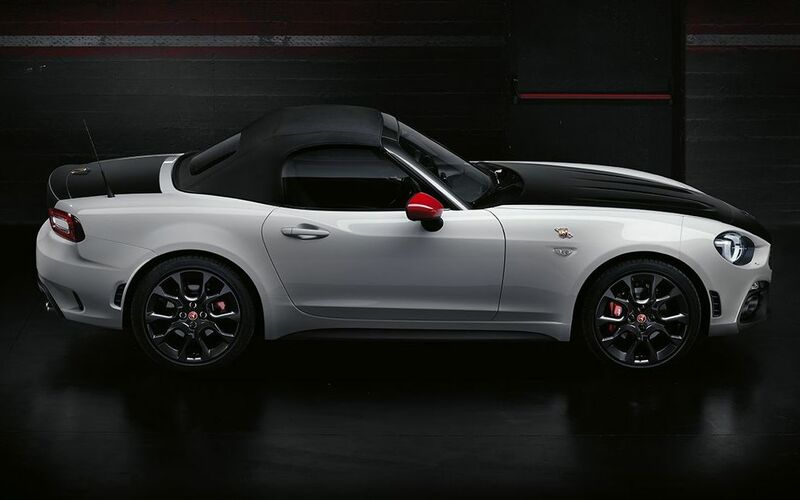 The Abarth 124 spider weighs in at 2,337 lbs or about 22 lbs more than the base spider. 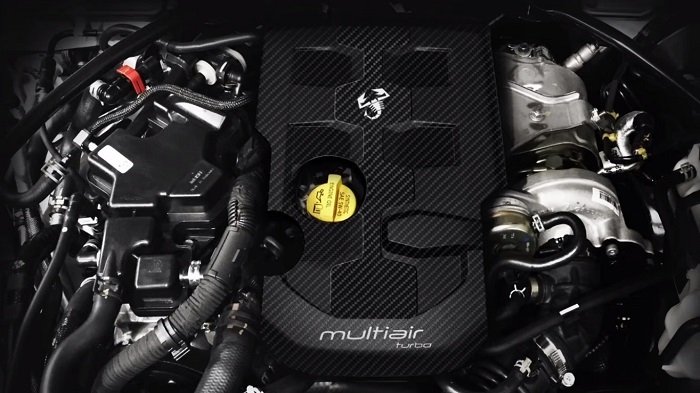 This gives a power to weight ratio of 13.7lbs/Hp - the best in its class. 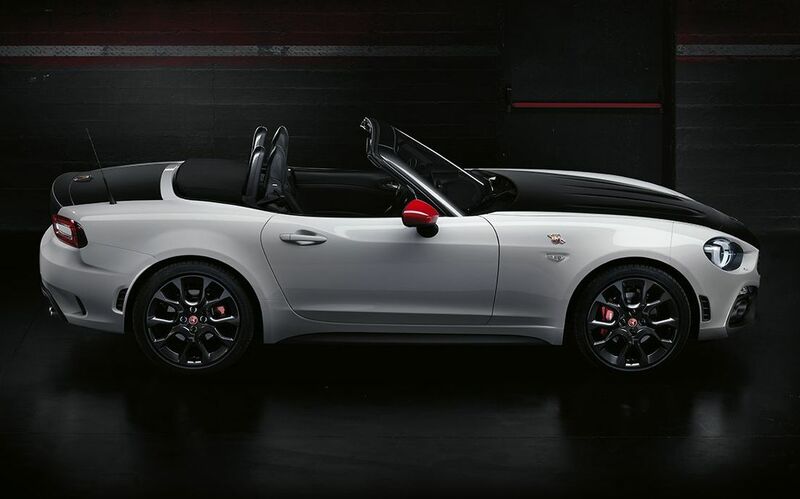 Zero to 62 mph is reached in 6.8 seconds and the Abarth has a top speed of 143 mph. 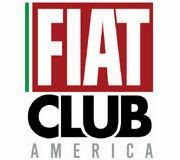 A mechanical Limited-Slip differential is standard equipment along with "Abarth by Bilstein" dampers, stiffened anti-roll bars, and specific suspension and stability tuning designed to get the most out of the rear-wheel drive chassis. When desired, the Abarth 124 spider also allows the driver to turn off the electronic stability controls for a pure unassisted driving experience and the ability to throttle-steer. The Abarth 124 spider is offered with either a six-speed manual or the automatic Sequenziale Sportivo gearbox equipped with paddle shifters. A Brembo braking system, with aluminum front caliper, is standard. 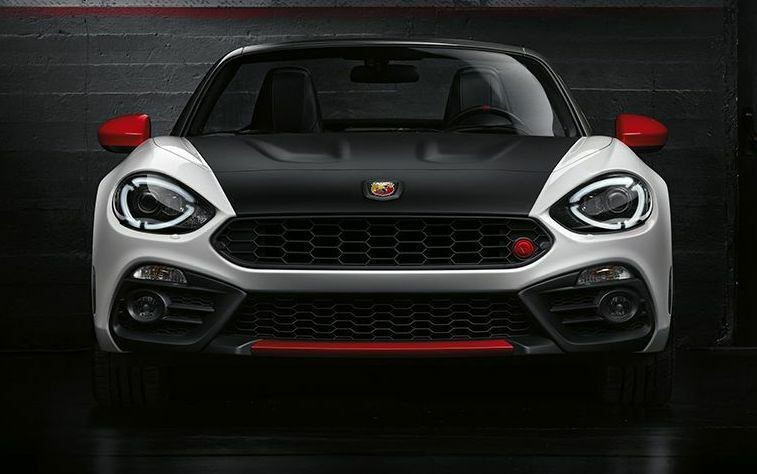 The exterior gets the full Abarth treatment, too with a new front bumper with larger air intakes, and a new rear bumper with aerodynamically functional extractor. 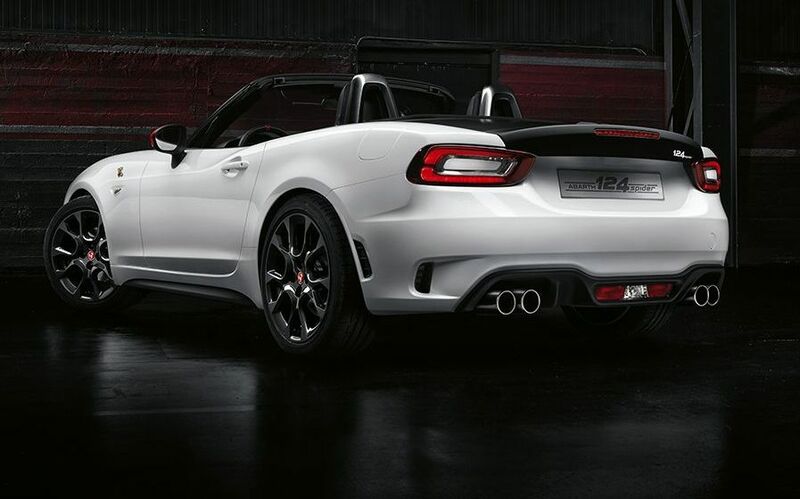 Like the legendary Fiat 124 Abarth from the 70s, a Racing Anti-glare kit is fitted and features matte black treatment for hood and trunk lid. The standard 17-inch alloy wheels, windscreen surround and interior roll bars are finished in "Forgiato Grey". 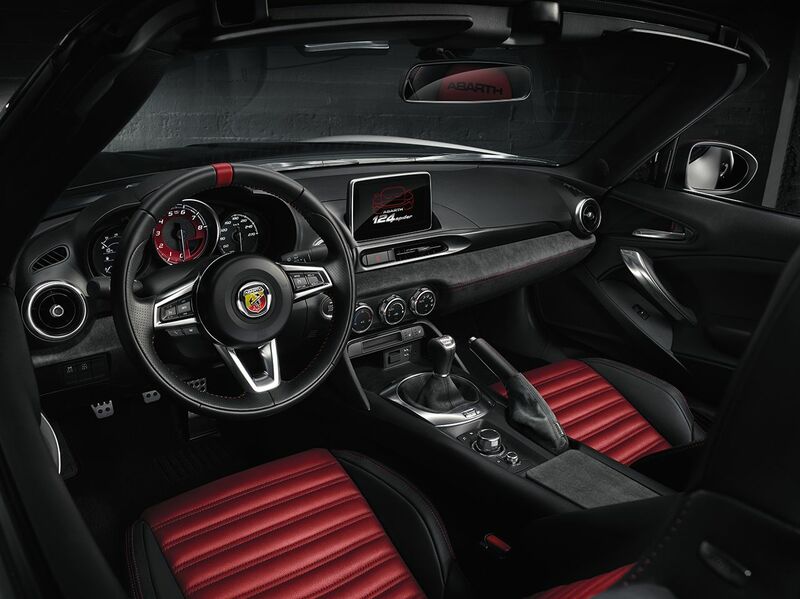 In keeping with its Italian heritage, Abarth treats the interior to a sporty and sophisticated looking Racing Alcantara Kit. A new steering wheel and revised instrument gauge graphics are also featured in the decidedly upscale looking interior. An Abarth wouldn't be complete without a performance exhaust, and the standard Record Monza exhaust system gives the Abarth 124 its signature sound. 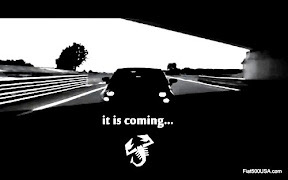 The system is custom fitted at the Abarth headquarters located in Torino. 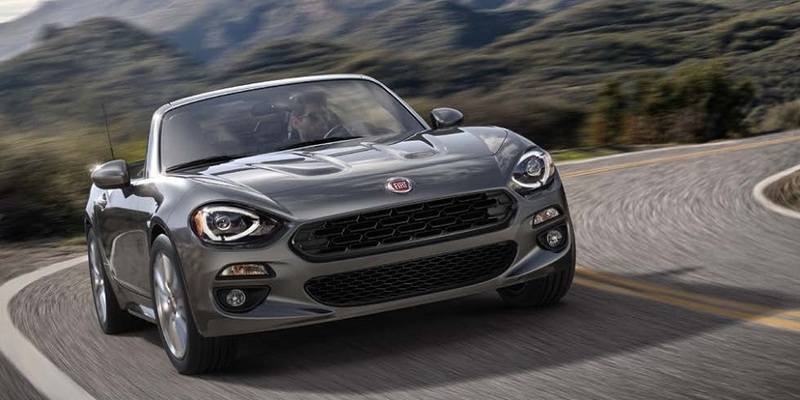 Each car is then tested and certified by an Abarth technician who affixes a sequentially numbered metal plate to the first 2,500 cars certifying the exclusivity of Abarth 124 spider. 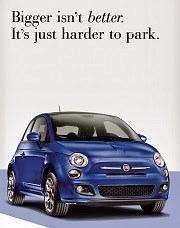 Five exterior colors are available. Each named after one of the prestigious races the original Fiat 124 Abarth won back in the day. 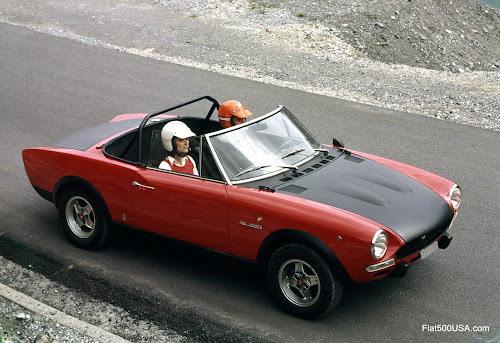 Colors are: special solid "Turini 1975 White " and "Costa Brava 1972 Red, metallic "Isola d'Elba 1974 Blue", "Portogallo 1974 Grey" and "San Marino 1972 Black". 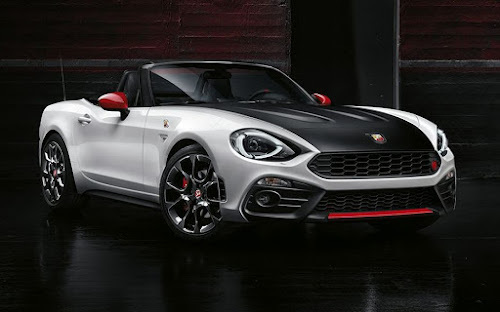 The European Abarth 124 Spider prices start at €40,000 or about €7,000 more than the standard 124 Anniversary Edition and will be available in Europe beginning in September. 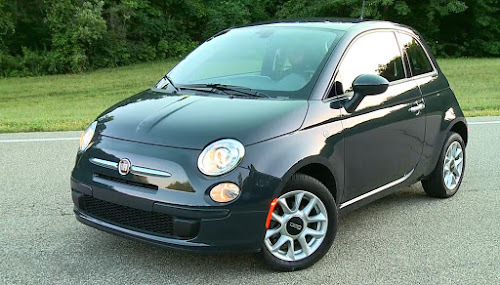 The US version has yet to be announced, but rumors say that the New York Auto Show may bring news. 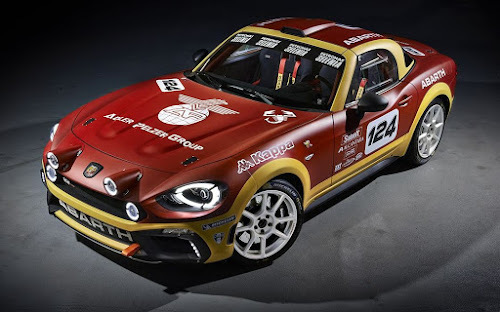 Abarth also unveiled at Geneva a full blown racing prototype called the Abarth 124 rally. This one sports an 1800 cc "bialbero" turbocharged direct injection engine with up to 300HP at 6500 rpm. 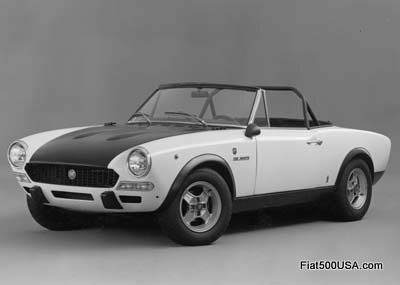 Bialbero is the Italian way of saying "Twin Cam" which is a nod to the historic Twin Cam engines the company produced in the 1960s. People will recognize this engine as the Alfa Romeo 1750 Turbo Benzina used in cars like the Giulietta and 4C sports cars. 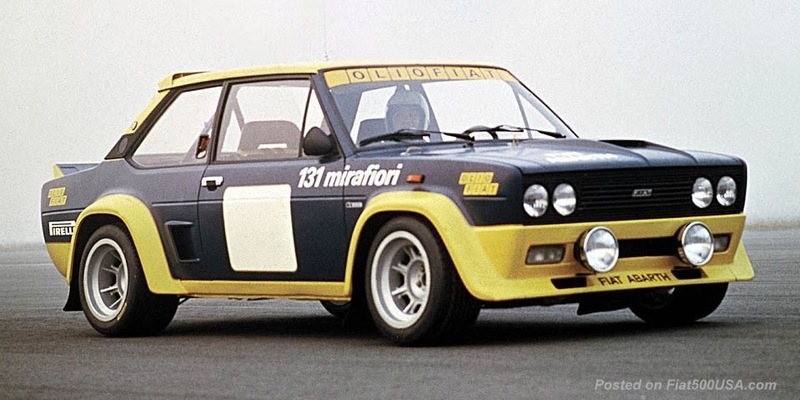 The Italian race specialist company, LM Gianetti, worked with Abarth's Technical Team to completely re-engineer the bodywork and the suspension. EXT SHOX contributed and developed a 4-way adjustable shock for use in the 124 rally. BMC worked together with the Abarth team and developed a high-performance air intake system, and the OZ wheel company came up with a new, light-weight yet rugged racing wheel. Sabelt supplies the seats as well as racing harnesses and the interior is trimmed in Alcantara to cut on down sun glare and reduce weight. Full rally spec chassis reinforcements, roll bar, and sequential six-speed paddle shifted transmission are also part of the package. 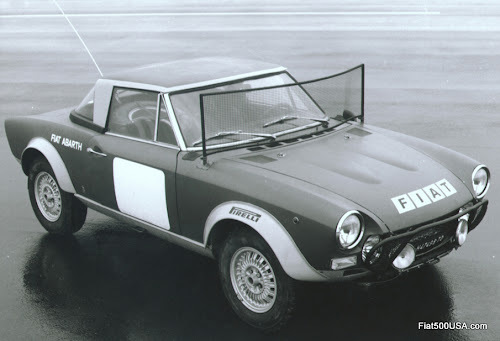 An interesting bit of trivia is the Abarth 124 rally has an internal project code of SE139. This designation is said to have a history that goes back directly to Carlo Abarth. 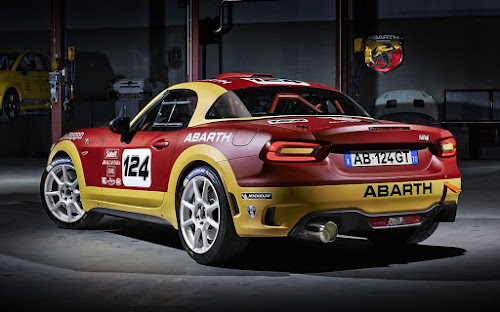 The SE stands for "Sports" and "Experimental", and the 139 is a progressive number that pays tribute to the 67 year history of Abarth, which has managed to develop an average of two racing projects per year. 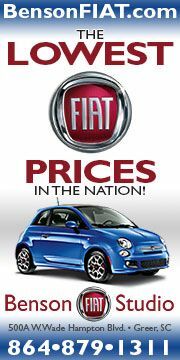 Something only a select few car manufacturers can be proud of. 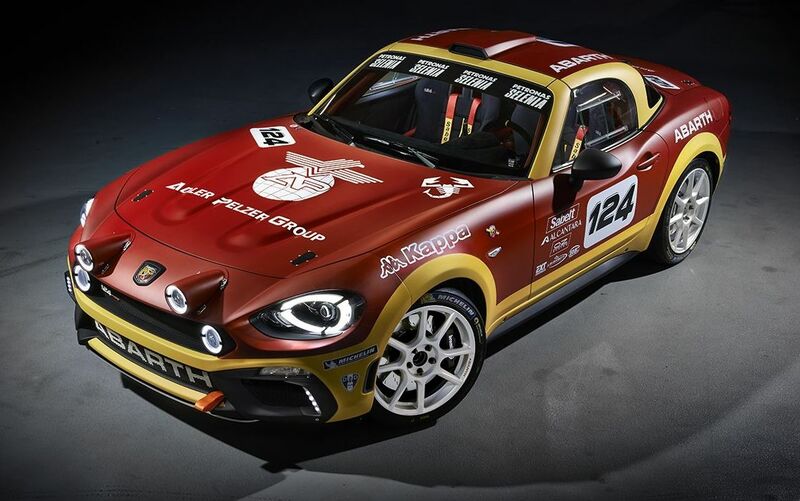 The Abarth 124 rally is homologated for the FIA R-GT category and will compete starting in the 2017 Rally Season.